February 7, 2015. Our first official Monthly Chapter Meeting where we combined the Coffee/Donuts event with our regular Chapter Meeting. March 2, 2013. 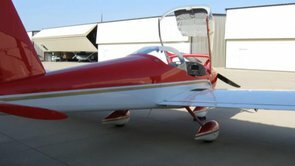 Fun, Food (Coffee/Donuts...) Fellowship and Flying! Much thanks goes out to EAA Chapter 323 in Sherman, Texas for coming out to join us in McKinney. One of the biggest crouds ever, and a beautiful day to boot! Rainy and overcast, but the fish is Great! Lot's of fun and fellowship. Tom Moore flew out to Hicks Airfield in Fort Worth, Texas for that infamous hundred-dollar-hamburger. 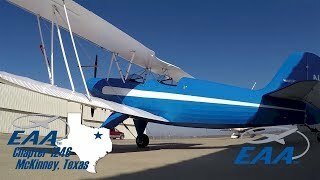 After arriving at the Rio Concho Aviation Restaurant, Bob Avery walks in and invites Tom to his Aircraft Tool shop and gave him the grand tour!